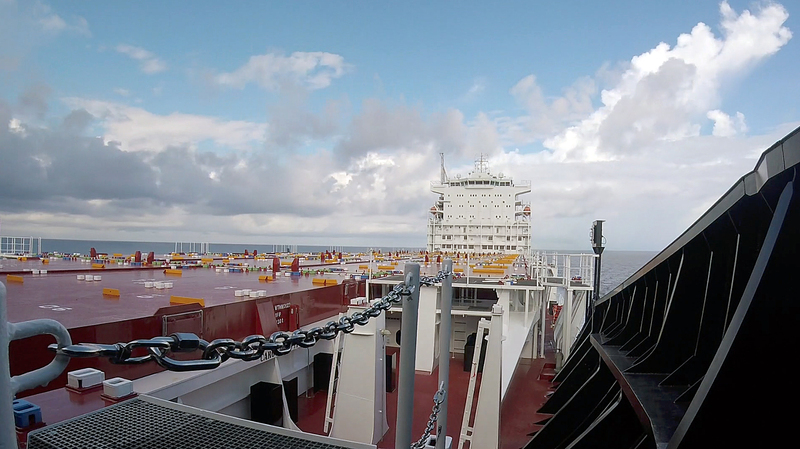 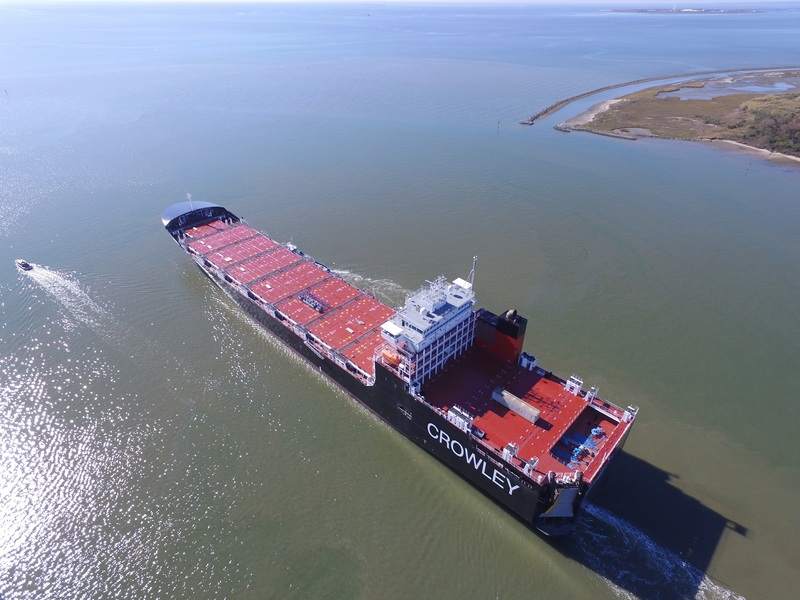 Prior to delivery on Dec. 19, 2018, Crowley and the ship's crew successfully carried out a sea trial of Taíno – the company's second of two of the world’s first combination container/roll on-roll off (ConRo) ships powered by liquefied natural gas (LNG) – with shipbuilder VT Halter Marine Inc., of Pascagoula, Miss., in preparation for her upcoming maiden voyage from Jacksonville, Fla., (JAXPORT) to San Juan, Puerto Rico. 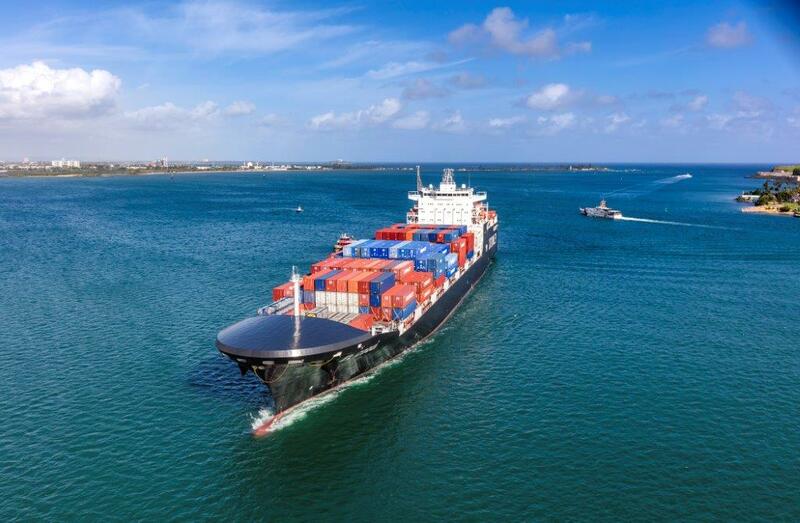 The two LNG-powered vessels are part of Crowley's major modernization of the Puerto Rico-U.S. mainland trade that have added velocity to the island's supply chain. 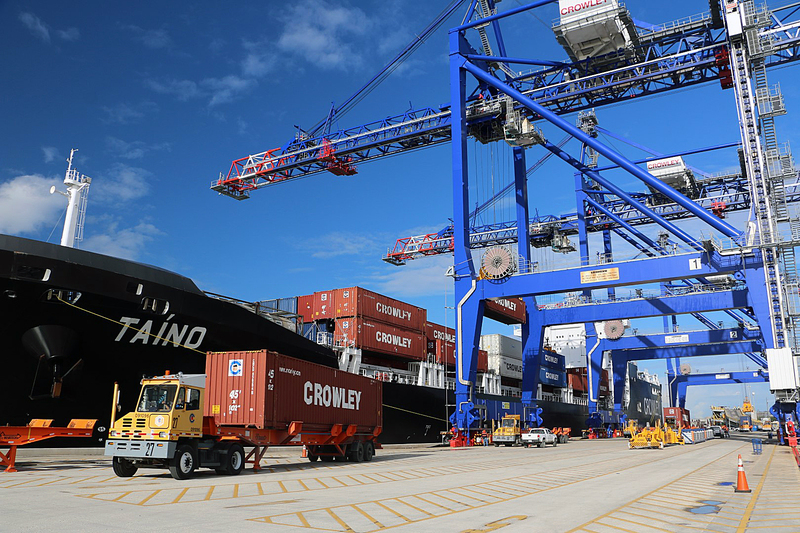 "The men and women of American Maritime Officers stand with Crowley in celebrating the Taíno's commencement of service in the Jones Act Puerto Rico trade," said Paul Doell, national president of AMO, the union that represents the licensed officers aboard the Commitment Class ships. 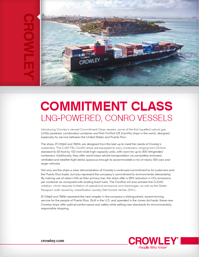 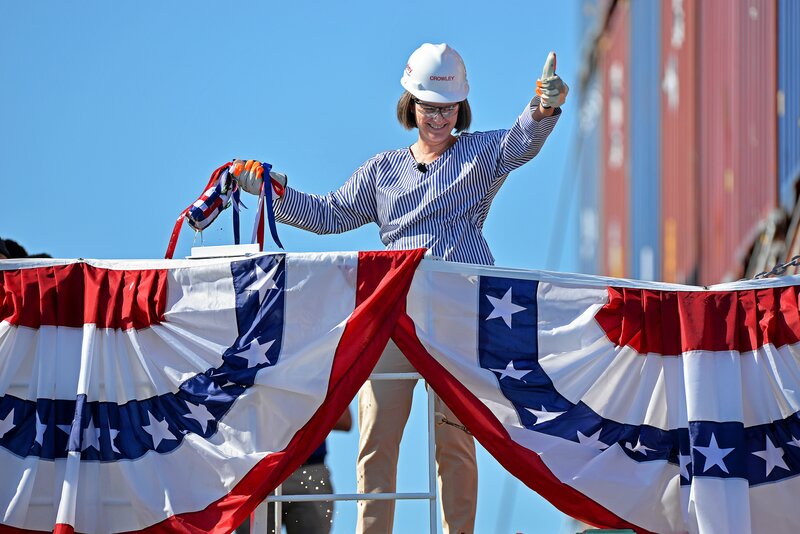 "We're proud to be part of Crowley's expanding cargo service between the mainland and Puerto Rico and the ongoing innovation under the U.S. flag as America's next-generation fleet of LNG-powered vessels continues to grow."